Mike Ashley's Sports Direct has said that the takeover of Debenhams by its lenders as part of an administration process is "nothing short of a national scandal". The store chain rejected two last-ditch takeover offers from Sports Direct. Under Tuesday's deal, all stores will remain open for now, although some have been earmarked for closure. Mr Ashley said politicians and regulators had been "as effective as a chocolate teapot". He also called for the administration process to be reversed. Debenhams is the biggest department store chain in the UK with 166 stores. It employs about 25,000 people. Its lenders are made up of High Street banks and US hedge funds. Mr Ashley said reversing the administration process would mean that "a full, better and appropriate solvent solution can be found". And he added: "This solution would include allowing myself and appropriate senior Sports Direct management access to detailed information to save the business for all stakeholders. "The board of Debenhams and its advisers have sought to stifle and exclude us from their so-called process and have undermined and blocked our various offers of assistance as they carried out their underhand plan to steal from shareholders." Sports Direct said it had formally registered its interest in buying Debenhams from its new owners. 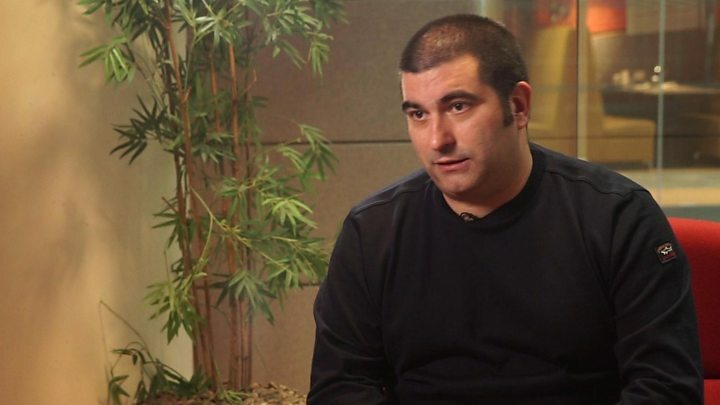 However, Chris Wootton, Sports Direct's deputy chief financial officer told the BBC he believed Debenhams lenders may already have a plan in place: "It's a case of the deal being done with a third party that keeps us locked out of it." He said the firm was considering legal action against Debenhams' board over shareholders' losses. What has happened to Debenhams? Debenhams has passed through a pre-pack administration process. This lets a company sell itself, or its assets, as a going concern, without affecting the operation of the business. The lenders now take control of the business and will look to sell it on, while shareholders lose their investments. It means that Mr Ashley's near-30% stake in the company, which cost about £150m to build up, is wiped out. On Monday, Debenhams rejected a £150m rescue offer from Sports Direct, which was increased to £200m in the early hours of Tuesday. The higher offer was rejected because Mr Ashley wanted to be chief executive. All Debenhams' stores will initially continue to trade, although about 50 branches had already been earmarked for closure in the future. Its lenders include Barclays and Bank of Ireland, as well as Silver Point and GoldenTree. As well as the planned closures, it has also been renegotiating rents with landlords to tackle its funding problems. In February, it was revealed that the closure of 20 stores could be brought forward if the retailer took out a company voluntary arrangement (CVA), a form of insolvency that can enable firms to seek rent cuts and close unwanted stores. The company explained that its restructuring plans would continue and that, if approved, they would "result in a significant overall reduction in the group's rent burden and underpin a sustainable future". The stores will continue to trade as normal and administrators have confirmed to the BBC that customers will be able to spend any gift cards that they already have. Debenhams chairman Terry Duddy said: "We remain focused on protecting as many stores and jobs as possible, consistent with establishing a sustainable store portfolio in line with our previous guidance. "In the meantime, our customers, colleagues, pension holders, suppliers and landlords can be reassured that Debenhams will now be able to move forward on a stable footing." A spokesman for the company's pension schemes said the schemes had been transferred to the newly incorporated company. "Members can therefore be reassured that the schemes are carrying on as usual." The biggest loser today is Mike Ashley. In this tussle, he's found himself on the wrong side of the fence. Debenhams has a huge pile of debt, which it needed to refinance and couldn't afford to repay. In the end, lenders were calling the shots on the fate of this business. Mr Ashley's series of proposals all came with strings attached, which the lenders simply didn't like. One major sticking point was that he wanted to become chief executive. The hostilities became ever more acrimonious, which didn't help. At one point, he suggested two board members take lie detector tests. The lenders were also suspicious of Mr Ashley's intentions. "If we give him the keys to the castle, he might change the locks," said one person familiar with the situation. The stores will continue to trade as normal, but there's another restructuring to come. Debenhams has already said it needs to close 50 stores. The first tranche would come after Christmas, providing a deal with landlords can be struck. This is an undignified outcome for a business that's graced our High Streets for more than 200 years. The new owners are already looking for a buyer, willing to take on the huge debts and liabilities of this household name. Why is Debenhams in trouble? Debenhams has been struggling for a while and issued three profit warnings in 2018. It also has a debt pile of £622m. Last year, it reported a record pre-tax loss of £491.5m. It later reported that its sales had fallen sharply over Christmas. The company floated on the stock market in 2006 with a share price of £1.95, and its share price peaked at £2.07 the following day. However, it suffered as a result of more people deciding to shop online rather than in-store and footfall was reduced. The scale and high cost of running stores as well as the investments needed to run a company in the modern retailing environment also put the company under financial pressure. This is despite Debenhams being the largest traditional department store chain in the UK. Its highest pre-tax profit since its flotation was £160.3m in 2011, but last year it lost £491.5m. Laith Khalaf, senior analyst at Hargreaves Lansdown, said: "As an investment, Debenhams is a tale of woe from start to finish. "Hindsight is a wonderful thing, but the road to Debenhams' ruin has been paved with poor decisions, as well as a dramatic shift towards digital shopping." Richard Lim, chief executive of Retail Economics said: "We should not understate the significance of this collapse. Debenhams has fallen victim to crippling levels of debt, which has paralysed its ability to pivot towards a more digital and experience-led retail model." Eleanor Snow, Which? 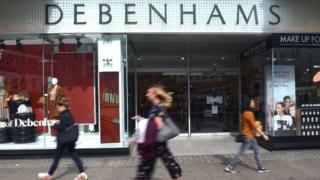 consumer rights editor, said: "Debenhams has long been a staple of the British high street so this is a worrying time for its customers and they may find their consumer rights are affected."